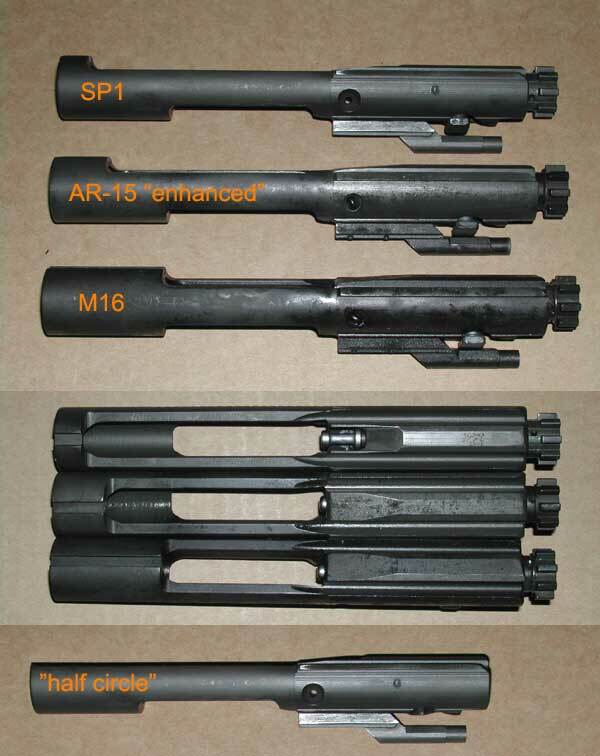 Hey, where can I get an sp1 bolt carrier? Not sure what you're after here. Are you wanting an exact duplicate of the SP1 piece; which was a standard M16 carrier with the rear bottom shoulder cut back and the underside of the lower milled out under the rear of the firing pin? Or are you just after a carrier that will work in an SP1? If the first, I'd place a "Want to Buy" ad on the EE section of this site. If the second, any quality made current carrier will work just fine. DPMS carriers are SP1 style. I think he may be lookign for one of the earlier carriers with no FA serrations. Have you read How it Works?